This restaurant was developed in an old ranch-style shopping center. 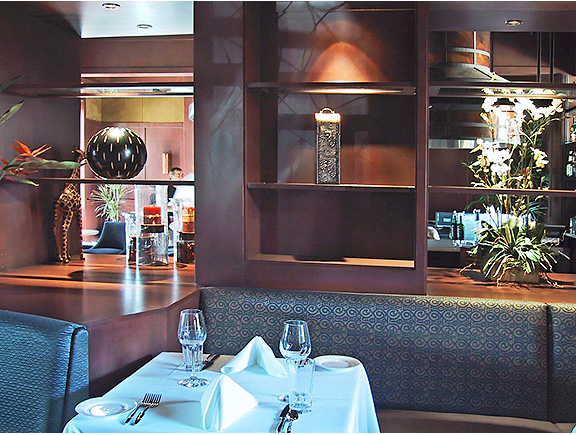 It contains a wine tasting room, dining room, bar and banquet room. The dining room is separated into seating areas by decorative blown glass, metal work, and wood screens. The circular marble bar wraps a cooking area for preparation of at-the-bar specialties.